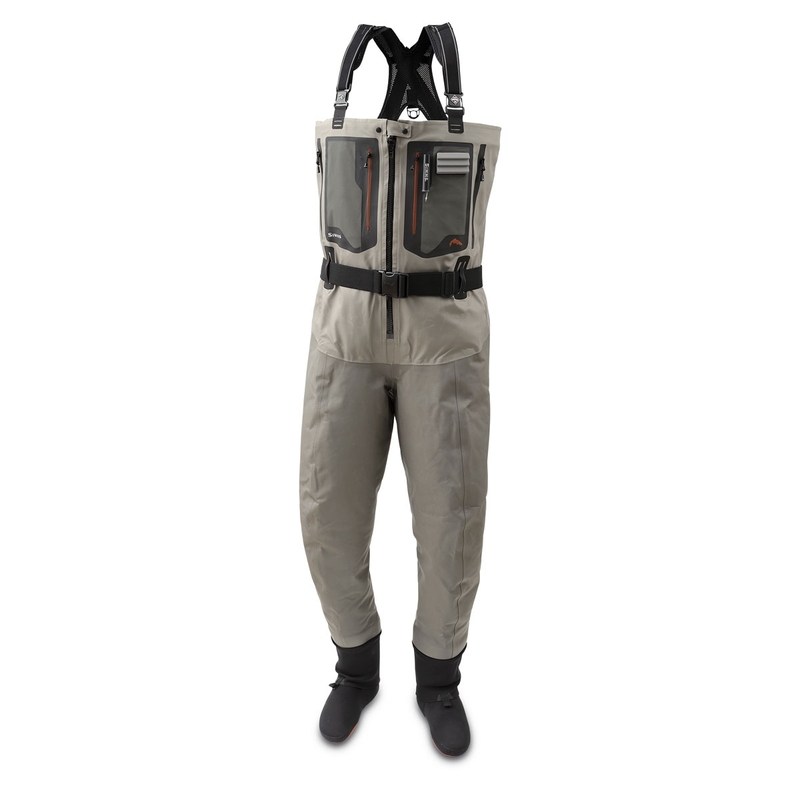 Simms G4Z Stockingfoot Waders. The angler evolution has been distilled to three simple steps: Catch a fish. Catch many fish. Catch the fish. Wise words, but limiting. In reality you define your fishing quest. And wherever it leads, G4Z stockingfoots are built for the pinnacle with new 5-layer GORE-TEX PRO SHELL fabric that bolsters durability and enhances breathability by 25 percent. 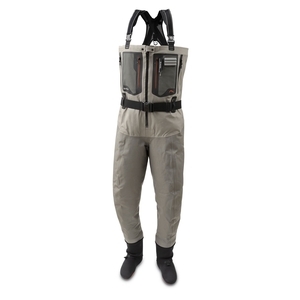 Powered by the most feature-rich mix on the market, G4Zs include YKK® waterproof center-front zipper for easy access/optimal ventilation, plush handwarmer pockets to toast frozen digits fast, and everything you need for an evolved wader that goes way beyond the basic.